The easy-adjusting nut on this clamp provides 360° jaw rotation. The maximum length of this clamp from rod to thermometer is 11 cm (4.4"). 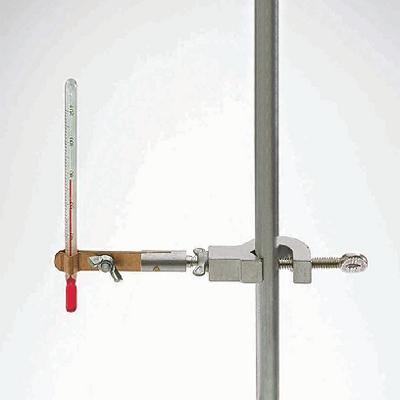 The full jaw rotation of this clamp causes prevents hand strain.